To be honest this “find of the week” was actually bought over a month ago! Here’s the story…I entered Goodwill and started for my usual first port of call, the dishware aisle. A good chunk of my Goodwill buys are from this aisle. But after a few seconds, I thought “Go to the art wall. Go to the art wall.” I don’t know why. It’s only once in a rare while that I find anything good there! Most of the “art” is hotel art…mass-produced posters with bland images. 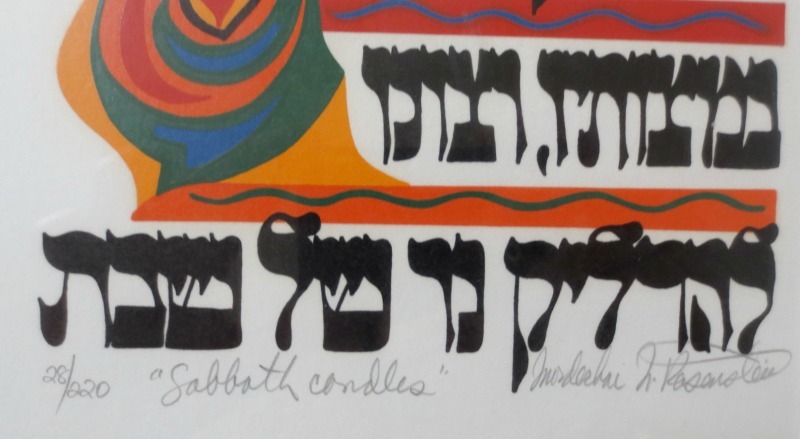 But that day I’m glad I followed my inner voice because they had just put out two numbered prints by Mordechai Rosenstein. Holy smokes these were nice. The bold colors and graphics are fabulous. 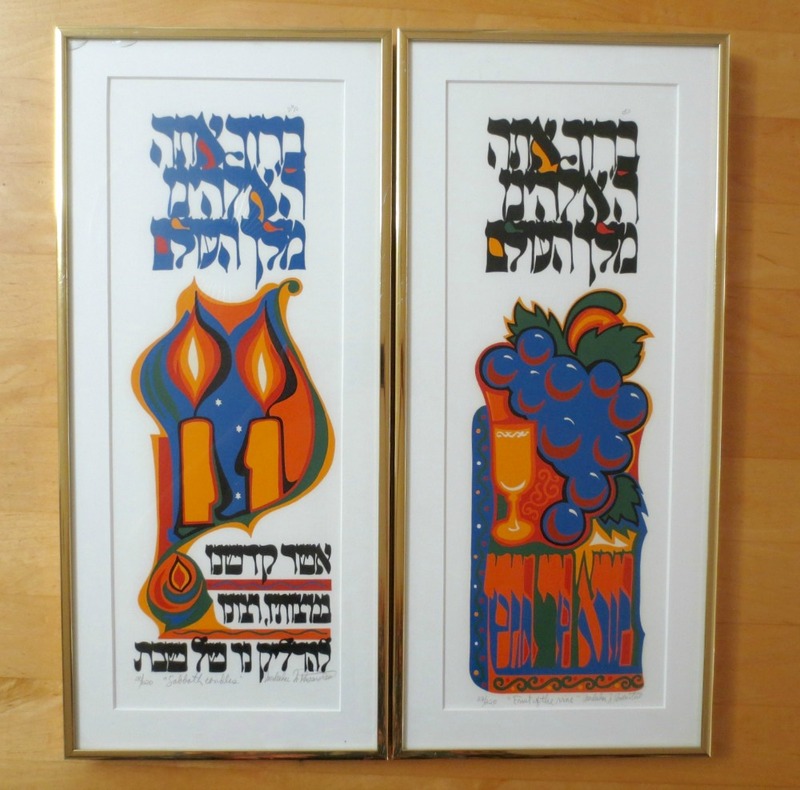 One is titled “Sabbath Candles” (28/220) and the other “Fruit of the Vine” (29/220). I didn’t even bother looking them up at the store. I knew they were good, plus I’d enjoy displaying them in our house. Here’s one on our picture rail with a print by Laura Blaconá. (Apologies for poor quality of this photo.) 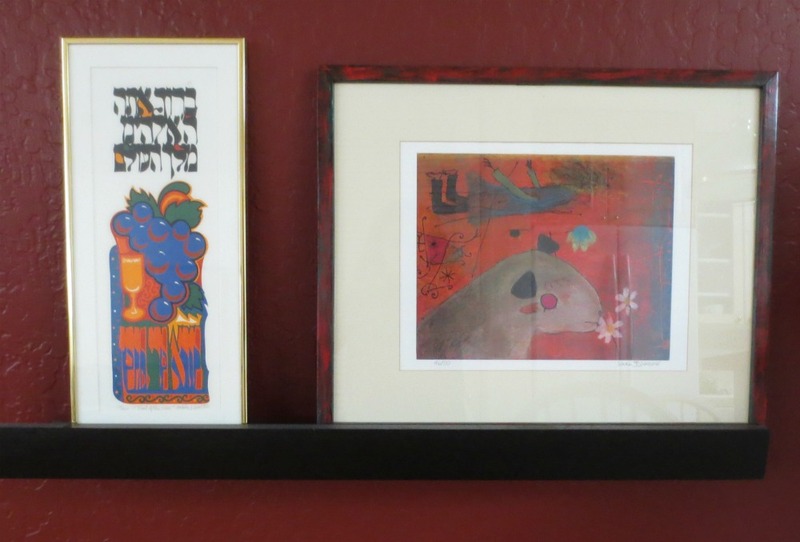 Our two Blaconá prints were also thrift store finds. Wow! How nice. I usually buy too much art that isn’t worth much.